Hand in hand with speaking out and taking a stand for social justice and human rights, there is an opportunity to explore and celebrate amazing things that are happening within Disabilities and Autism communities. There are many people creating new projects and participating in posAutive events, and expressing or amplifying the important perspectives of Autistic people and celebrating Autistic pride and culture. One of those people is Lei Wiley-Mydske. 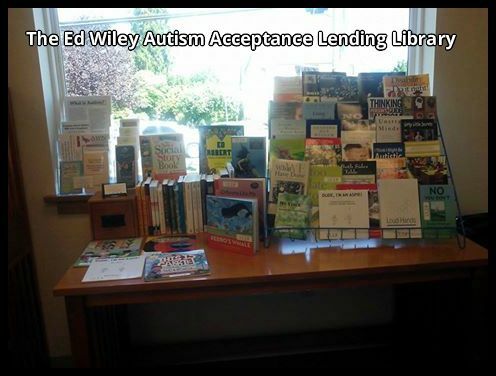 She is the creator, curator, and Director of the Ed Wiley Autism Acceptance Lending Library. You read that right! Lei was not satisfied with the focus of the books that were available in her community, and she wanted to make books available that were supportive of neurodiversity and so she just freakin’ started her own library!! To begin, can you introduce yourself and share what is important to know about you? I’m 38, I work for AWN (Autism Women’s Network) and I am married to someone who is not Autistic and we have one child who is Autistic like me. Well, I really like helping people, especially parents to understand a little more about autism. I feel like a lot of the time I might not be taken seriously, but I still keep doing it because I don’t think that things will be better for my son than they were for me if I don’t. I don’t know anybody else who just MADE a LIBRARY! Do you remember the moment you decided to create the Library, and/or what inspired you or made you want to do so? Well, it was a lot of things. Learning more about the laws in my state, and having my ability to parent my child questioned on the basis of my disability alone was traumatizing. It also made me want to change things so that my son would never, ever have to go through that. My son also went through a lot of trauma in our school district because people just didn’t understand his communication. They called it non compliance when he was trying to advocate for himself. It was frustrating because I would tell teachers and administration about all of these resources like “Loud Hands” and “I Love Being My Own Autistic Self” that they had never heard of. I was actually horrified when one of the staff at his school said they had never met an Autistic adult before me. I just think if you want to work with Autistic people, you need to listen to us. Very few people had even heard of Temple Grandin. I mean, she’s probably the most famous Autistic person around and they hadn’t even heard of her, much less all the activists who I learned about Disability and Autism and ableism from when my son and I were first diagnosed. I was always letting teachers borrow the books I had anyway. I started to think that it might be a good idea to have a big collection of these types of books for anyone to borrow. 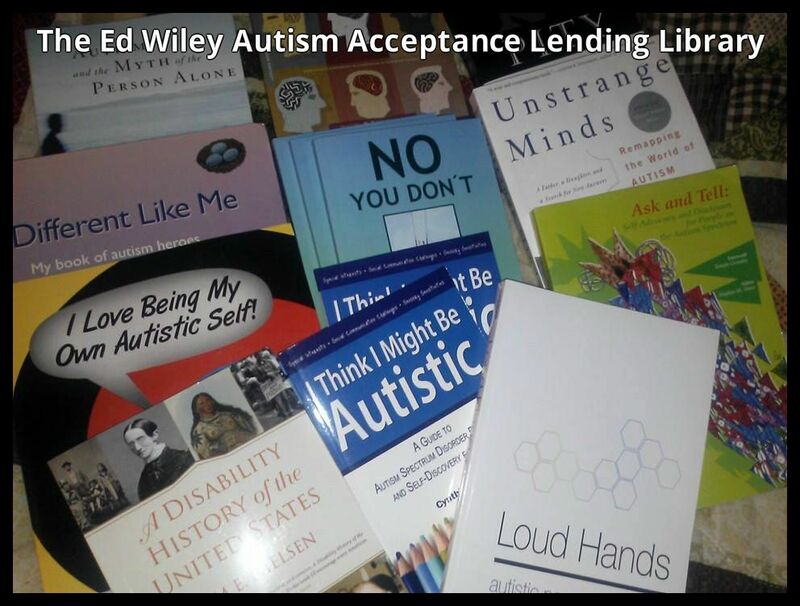 We have an autism lending library in my state, but it did not have the types of books on Disability Rights and Neurodiversity that I thought were needed. Most of the books they have were written by parents or professionals. They were not written by the actual experts on the Autistic experience. There was nothing about the importance of learning about Disability History. There were books for siblings and peers of Autistic kids, but nothing to help Autistic kids find a sense of pride in their identity. Is there special significance to the library’s name? I named it after my dad. I just had a really good relationship with my dad growing up. Most adults didn’t like me or thought I was a pain. He always thought I was awesome just as I was. My dad also was physically Disabled and I feel like if he was not Autistic, he definitely had some very strong Autistic traits. My dad died in 2002. It’s very hard for me to talk about still, but we (my sisters and I) grew up with both of our parents doing things like managing a food pantry and monthly free meals in the very economically depressed area where we lived. My parents both knew that things could be better and they felt responsible to be a part of making that happen and I think that was passed on to me. So, that’s why I named the library after my dad. Would you explain a bit about the logistics of how you run the Library and when/where it is open, etc? I am set up at my local community center from 11-3 every other Wednesday. I sometimes make appointments if people are unable to come to the library, and they can call or e-mail me and we make alternative arrangements… so that they can still borrow materials. Can you share some of the feedback/response you are getting from others in your community, and beyond? Well, since the library is new, I am still working on getting the word out locally. I have had some good response from a lot of parents though. Even some from other Autistic adults who are just wanting to learn more about neurodiversity. There has also been a lot of great response from outside of my community. People have e-mailed me from as far away as Australia to ask me how to set up their own library. To me, that is so exciting because I think it would be great to see an autism acceptance library in every town! Neurodiversity is a term or concept that is being used more and more frequently and sometimes seems misconstrued. How would you define Neurodiversity? What are your next goals for the library and how can others help if they wish to do so? Pssst… Lei, this is an invitation for a shameless plug! Haha. Well, I want to get more books and films. I’d love to be able to host events and guest speakers for the community. Is there anything else you’d like to add?? Maybe I can also say that I couldn’t do this by myself. Like, my friend Jeff helped me to set up the bank account, get an EIN number, register as a non profit and do all that paperwork. Neil is my driver and delivery guy because I can’t drive. He also has done so much work in helping me when I get stressed out or can’t do something. Fallon helps me write book reviews (though we are on summer hiatus from that haha). My friend Irene helps a lot too. 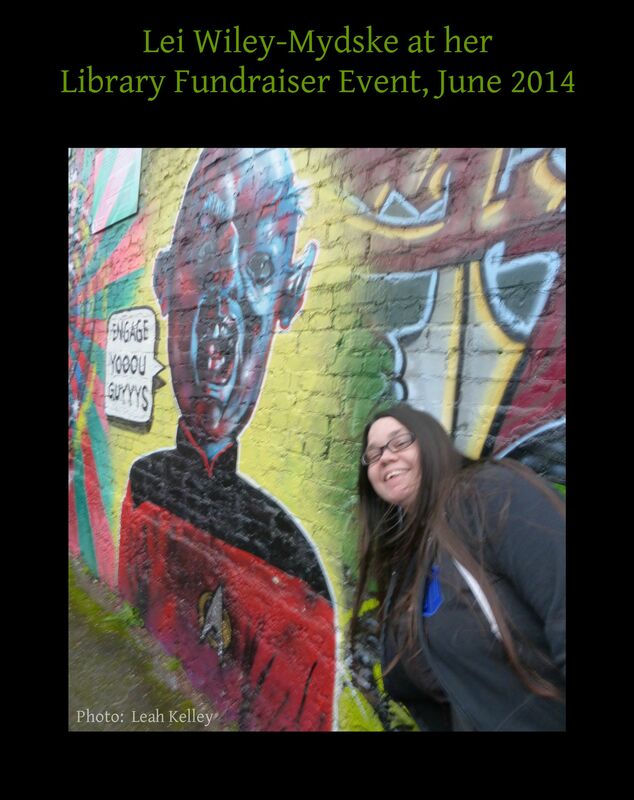 She is always promoting the library. My friends Robby and Gavin helped raise a lot of money by putting on that benefit show. Oh, and both Neil and Anabelle Listic helped me with graphics for the library. I want people to know that because I do need a lot of help to get things done and I couldn’t do it alone. 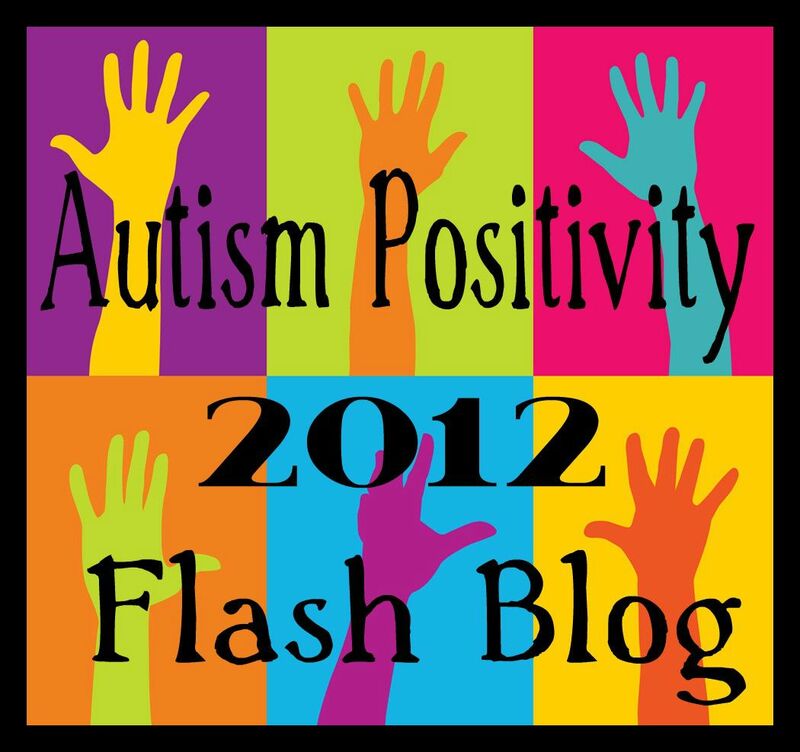 In addition to creating and running the Library and working as the Community Outreach Coordinator for AWN, Lei is also a moderator of the Facebook pages for Boycott Autism Speaks and Parenting Autistic Children with Love and Acceptance (PACLA), writes a blog at We Always Liked Picasso Anyway, and was the co creator/editor of PACLA’s first magazine in April of this year. Lei is active in the online Autistic and Disabilities communities, and some would call her an social justice and civil rights activist. She is AWESOME! 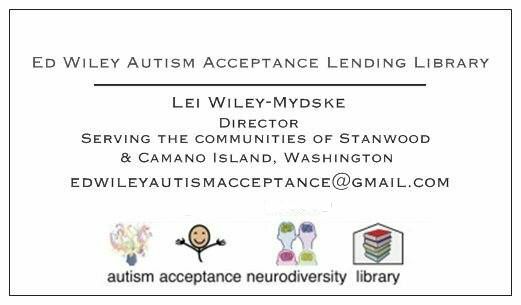 This entry was posted in acceptance, Autism, Autistic, Father, Neurodiversity and tagged Autism Women's Network, AWN, Ed Wiley Autism Acceptance Lending Library, Lei Wiley-Mydske, PACLA, Parenting Autistic Children with Love and Acceptance. Bookmark the permalink. link from previous article that I reblogged.